My photos of LA Tenorio rarely have him looking at whoever is guarding him or where he is going. The wily court general has great peripheral vision; he will look straight ahead then zip a pass to a cutting teammate far from his gaze. He can look at his left then drive to his right, leaving his befuddled guard behind. Even when he drives to the basket with behemoths twice his size guarding him, he looks like he’s walking in the park. 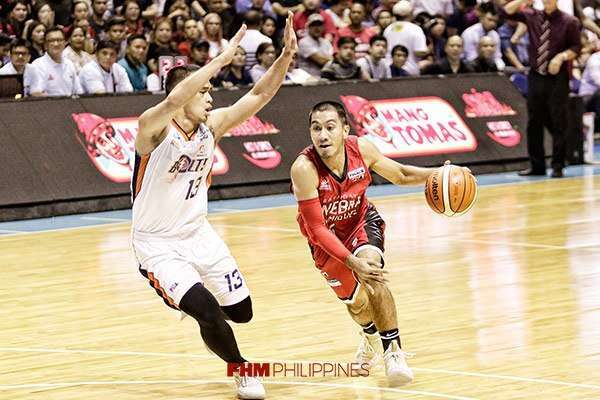 At 33, he still is one of the best point guards in the PBA today. 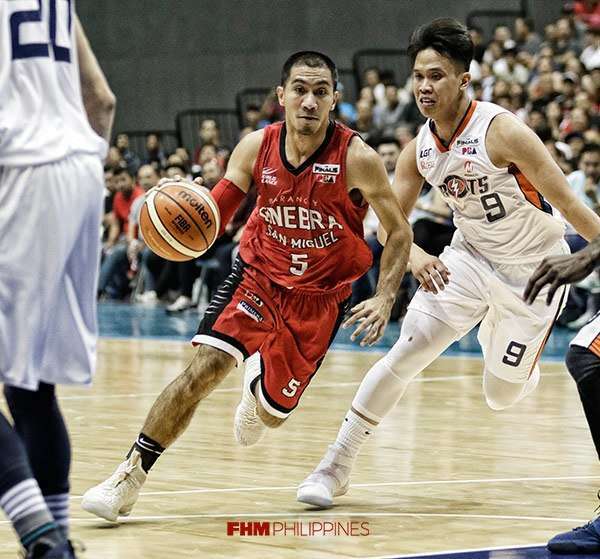 In the just concluded PBA Governors' Cup, LA averaged 15 points, 4 assists, and 3 rebounds in 32 minutes per game for the champion Ginebra San Miguel. He also shot 46% from the field, both from the 2- and 3-point territories. 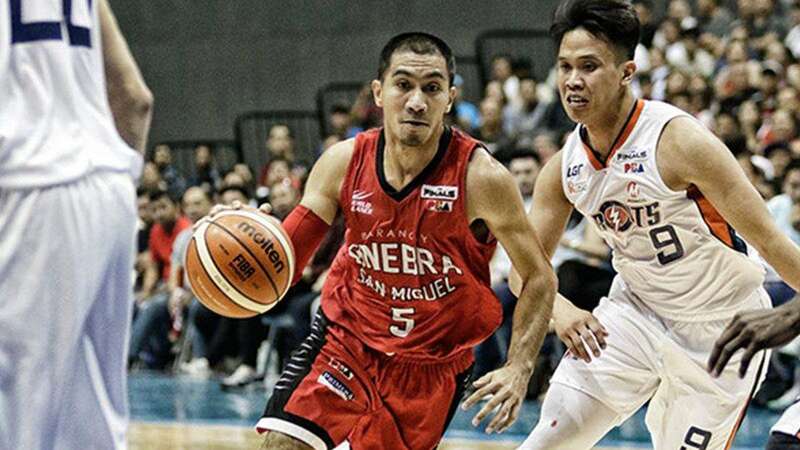 Tenorio was again named Finals MVP, the same award he won in last year’s Governors' Cup. Not bad for someone who was very close to sitting out a game due to a nagging elbow injury. And LA always shows up. His coaches marvel at his readiness. He never takes days off. "Even today, the first day of practice, he always plays hard. A lot of stars do not do that on the first day," Coach Tim says. LA's coaches seem to have unlocked the many sources of their prized PG's unwavering strength and stamina. "He's got those big feet and big hands—I'm not sure if that equates to longevity," says Coach Tim. "But he is remarkable. He battles through everything. He had that elbow problem [in the last Finals], but he didn’t miss a game. He could have easily sat down and said, ‘I’ll rest my elbow,’ but he didn’t." Even Jett knows exactly where his mentor is at this exact moment. "It’s after practice now, but he’s still shooting and working out," he says. "I heard he was here (Upper Deck, where the Ginebra Kings practice) yesterday. He was here weeks before with his trainer." But to LA, however, all this effort comes with being a pro. He's expected to take care of his body, before, during, and after the season, after all, although he admits he nearly missed a game or two last season. “I was this close (his thumb and forefinger a half-inch apart) to giving up. Masakit na talaga. It wasn’t the normal pain, even with painkillers. I played through it. I prayed through it, through the whole series. Pinasa-Diyos ko na lang para tapusin ko ito. The next day (after the championship), I was in the hospital,” he says. We asked LA if he knew he is only 64 games away from breaking Alvin Patrimonio’s Iron Man record of 596 consecutive games played—his streak currently stands at 533. LA looks quite determined to go on, but clarifies it's not because he's hell-bent on breaking the legendary four-time PBA MVP's record. Rather, he desires to win more championships, despite knowing there are better players than him now and there are younger players coming up. And that means looking forward to what's next. "That's the beauty of my career. Even if I've played so many games since I was in grade school. Ito na ang buhay ko. And this is the life of my family na rin." 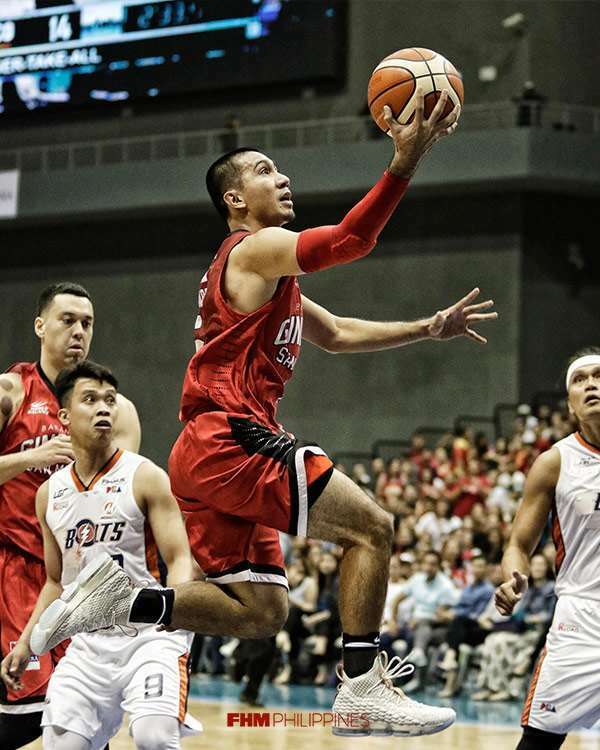 LA has three little boys, with the youngest born last year after the 2016 Governor’s Cup championship, the Gin Kings' first title in eight years. He would like them to grow up and appreciate him as a player. It's the reason he pushes himself, even if it's quite normal for people "na magsawa ka sa ginagawa mo." As he points out, "I want my boys to see me, paglaki nila, na naglalaro pa ako. Nakikita na nila. Paglaki nila, mapagmamalaki nila ako, that their dad was a player in the PBA. Kaya hangga’t maaari, I want to play." Should one call LA obsessed with basketball? 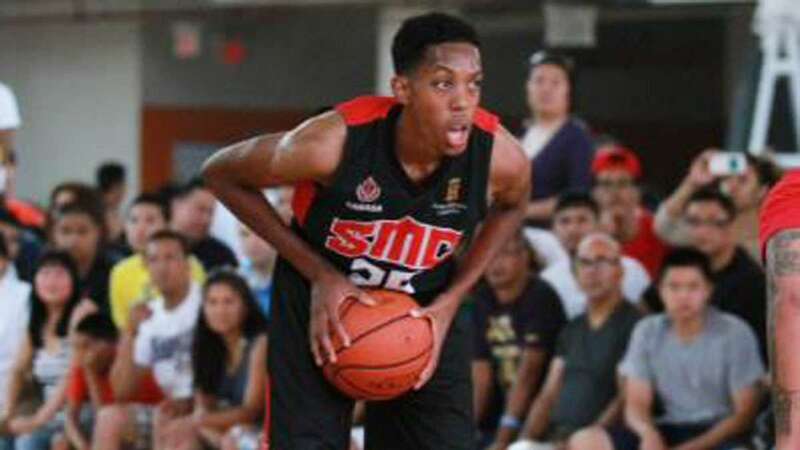 Often at night, he'd practice shooting on their village basketball court for around 30 minutes before going to sleep. LA is a serious competitor. Like Michael Jordan, he hates to lose. But he’s learned to move on after a loss. “Natutunan ko din kay Coach Tim yun. It’s not the end of the world. Take that as an opportunity to learn and bring something new the next game. When you lose in a championship series, then that’s when mapikon ka—saka mo ilabas. Manuntok ka ng pader, gawin mo na. But as long as you have a game the next day, a chance the next day, huwag muna mapikon." But he's one weakness is that he loves to eat. “It’s really discipline," says LA. "I’m not really into doing a total diet. I’m a normal person. Nanood din ako ng sine (in movie theatres). Kumakain din ako ng lechon. Kumakain din ako ng unhealthy food." Currently, there is a Vegan Craze sweeping the NBA with guards Kyrie Irving and Damian Lillard as its leading proponents. Does he see himself giving it a go? “I love eating vegetables," says LA. "Every meal I have to have vegetables. But vegan all the way? Hindi ko yata kaya yan." 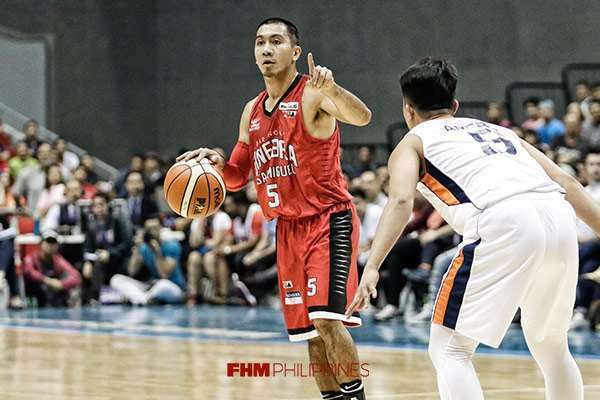 LA vows to keep exercising even after his PBA career. Currently, he does cross-training, mostly biking. He does want to try triathlon, although he admits he’s not a good swimmer or runner yet. Gilas traveled to Europe, the US, and Asia. LA got to meet many coaches. He always paid attention to their teachings. “Coaching is not for me now, because I’m still playing," LA concedes. "But I'm already teaching young players now. I have a basketball camp now, an almost year-round camp where kids learn the proper fundamentals and basics of basketball. I think teaching is my calling."